This is part of a series of posts dedicated to the immigration story of Debs Webster and his family. In our last installment, my Grandpa Debs and his family were in New York. In that previous post, I shared some vintage postcards from Long Island with you. 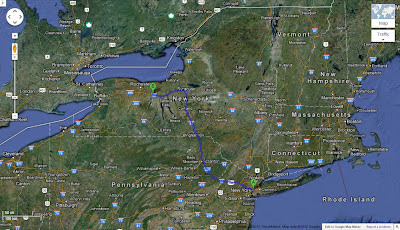 In today’s post my Webster family takes a road trip within the state of New York. According to a recently received and very interesting email from my uncle, who was on this trip, the family actually stayed in New York City for a couple weeks before my grandpa purchased the 1951 Chevrolet sedan. Then they started on their trip across the U.S.A. to Glendora, California. I found this photo of a 1951 Chevrolet Sedan on the Wikimedia Commons website. It looks very similar to the car in the photo of my Webster family stopping for a meal in THIS PREVIOUS POST. My uncle said their car had no air conditioning, so a lot of the time they had to drive with all four windows rolled down. Remember, this was during the summer and it was very hot! The next photos and vintage postcards we have from Debs' photo album and scrapbook are from Palmyra, New York. Now, I don't know if they traveled directly from New York City to Palmyra or if they stopped at other locations along the way. 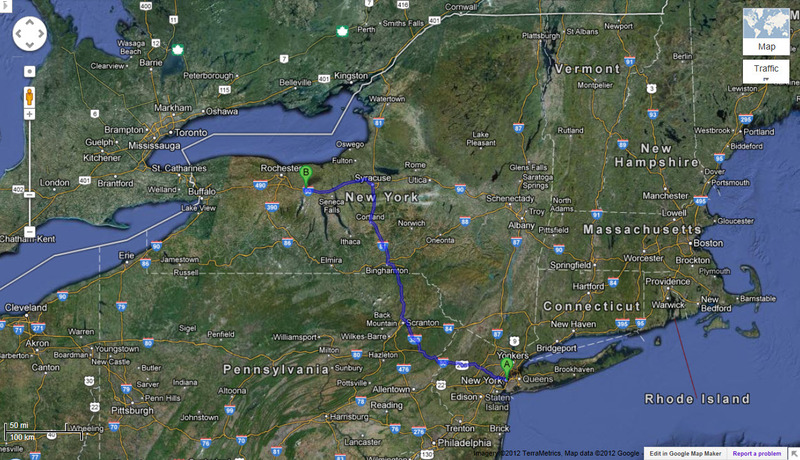 If they did make a direct trip to Palmyra, then according to Googlemaps.com, that trip would take a good 5-1/2 hours. And that's using present day calculations. I wonder how long it took in 1952. Were the roadways any different back then? In this part of Grandpa Debs’ photo album, he displayed photos and their corresponding postcards next to each other. I really like that he did this! While in this part of New York, Debs Webster and his family visited LDS historic sites such as The Hill Cumorah and the early home of Joseph Smith. Next stop on the trip…Illinois. See you then! I love the photo + post card, especially the monument. The trouble with monument photos is either you can't see the whole monument or you can't see the people, so it's good to have the post card with the whole monument. It's interesting how the Smith house looks the same in both the photo and post card. Thanks so much for reading and for your comments. I really do appreciate it!